Steven Mill 5 years, 11 months ago. Alternating current is the main source of energy of transformers. Their voltage is changed avoiding the change in frequency. Every electrical appliance has been synchronized to run at a specific speed at a specific frequency. If the frequency is changed so the speed also changes. 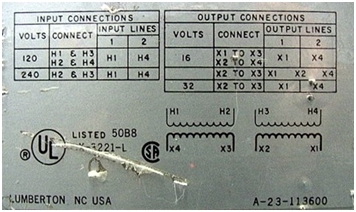 The frequency suitable for the device is mentioned on its nameplate and can only be adjusted through the use of a buck boost transformer. When comparing to other type of transformers, buck boost transformers have managed to attract greater number of customers because of the fact that they provide greater efficiency, are small in size and at the same time also light weight so are thus easy to transport. In addition they provide a 5-10 times increase in kVA and they are applicable over a greater number of appliances. With all these plus points you must be thinking that it will be quite costly, you will be amazed to hear that the cost of Buck Boost Transformer is lower than the other types of transformers available in the market. Most of the electrical appliances we are using are running of A.C. voltage. Thus it is important that the input voltage be maintained according to the requirement of the device. If not so then there are chances that the running duration of the device gets reduced. This happens because when the device receives a greater input voltage then the winding current of the devices’ motor gets increase due to which the torque of the motor decreases. As a result of this the temperature of the motor increases which damages the insulation. As the insulation weakens so the lifespan of the device decreases and it breaks up before its original time duration. Not only is the variation in the motor load bad for the health of the electrical devices but the low voltage can also be harmful for it. Due to the low voltage input the resistive heating loads and incandescent lighting output are badly affected. Because of lower than required voltage chances of the device getting damaged are very high. A problem like this needs to be treated immediately and Buck Boost Transformers are the best remedy for such kind of problem. Buck Boost Transformer is highly effective even if the voltage change as small as 5-20% is required for the voltage input. 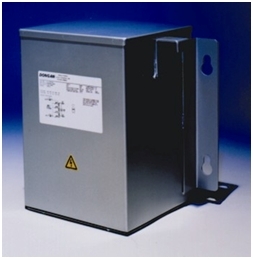 The Buck Boost Transformer when built serves as a type of insulating transformer. But when it is connected to the device its function is like that of an autotransformer. While connecting this transformer to the electric device a lead wire from the primary is connected with the lead wire coming from the secondary. Due to this fact the electrical properties of the transformer gets changed from insulating to an autotransformer. Because of this setting the primary and secondary do not remain insulating anymore and the kVA capacity of the transformer is also largely increased. If you are using equipment that are of different kVA sizes, so there is a need of such transformers that can provide you with the option of different input/output voltage combinations then buck boost transformers are the ideal choice for this purpose. One buck boost transformer removes the need of 75 different transformers because of the versatility it offers in the input/output voltage combinations. One very common application of Buck Boost Transformer is its use for low voltage lighting or control circuitry. When applied here the buck boost transformer has an input of 120 volts while emitting only 12V or 16V, 24V, 32V or 48V as an output to be used for the purpose. In many systems this transformer acts as an autotransformer. In addition to this it is also used in the bus system where low voltage supply is required as the device is stored at the end of the bus. It can be also used if the equipment is running at voltage equal to or greater than the capacity for which it is designed. Where there is a problem known as Brownout in which the voltage demand of the consumer is greater than that being supplied. These are also used in commercial and industrial air conditioning system where there is a requirement to increase the voltage from 208V up to 230-240V. 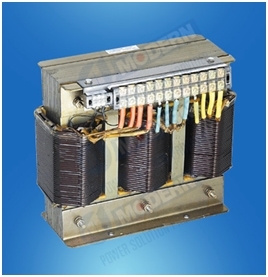 For heating systems and induction motors when require voltage adjustment buck boost transformers are used. Buck Boost Transformers can be used to boost single as well as three phase voltage for which two or three units are required to be installed. The number of wires in the supply line is the deciding factor that how many units should be used. For three phase supply having four wires we require three transformers and in case of three wires two buck boost transformers are recommended. Thanks with regard to giving this sort of fantastic post. That seem quite complicated but then it is a perfect transformer to some people.Well in Finland i notice that many people choose a transformer that really fits for all their electronics stuff on giving low or high amount of electricity.Well now a days i am studying more about on öljymuuntaja or transformer oil or other transformer in order to see how good is having a transformer in house without having a problem in other electronic material at home. In my state there are rural areas where long duration voltage swells and sags are common. Buck – Boost transformers are useful only if it is auto regulated. Fixed tap buck-boost transformers can destroy the load equipment which is normally lighting load or a motor. But adding regulation is extra cost and also greater maintenance. Even if cost is tolerated maintenance is difficult in rural areas and the voltage correcting transformers gets bypassed. So I am not a fan of buck-boost transformers. I would prefer a charger – battery – inverter combination for small loads and a motor designed to tolerate a wider voltage variation.